Pair of traditional lanterns inspired by Victorian ‘Hansom Cab’ carriage lamps. Ideal for highlighting favourite plants in the border or illuminating paths. 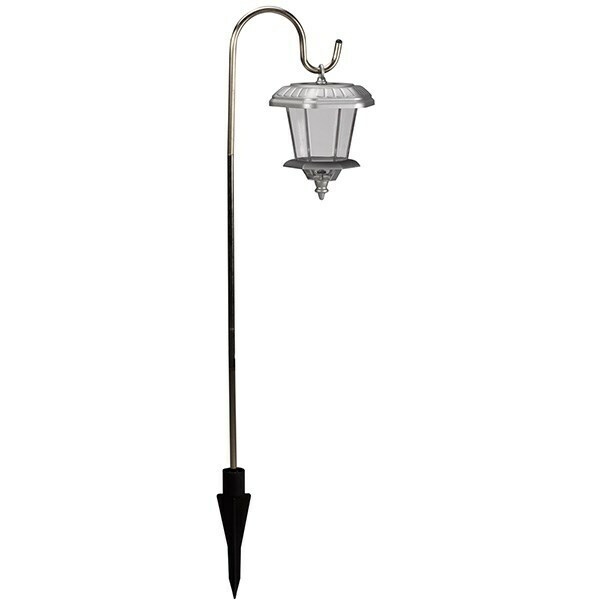 Suspended from stainless steel crooks with spiked feet, the lamps are made from rust-proof stainless steel with a teardrop glass lens for excellent light dispersal. The solar-powered lights activate automatically at dusk and emit 10 lumens of brightness for up to 6 hours when fully charged.